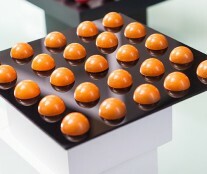 Jean-Marie Auboine Chocolates began wholesaling to hotels in the great tourist city of Las Vegas. Later, they introduced a showroom, which served as a storefront for their wholesale business. 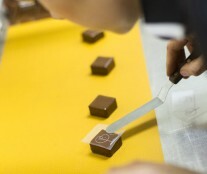 And just recently, they have begun to offer training courses that are delivered by Melissa Coppel herself. 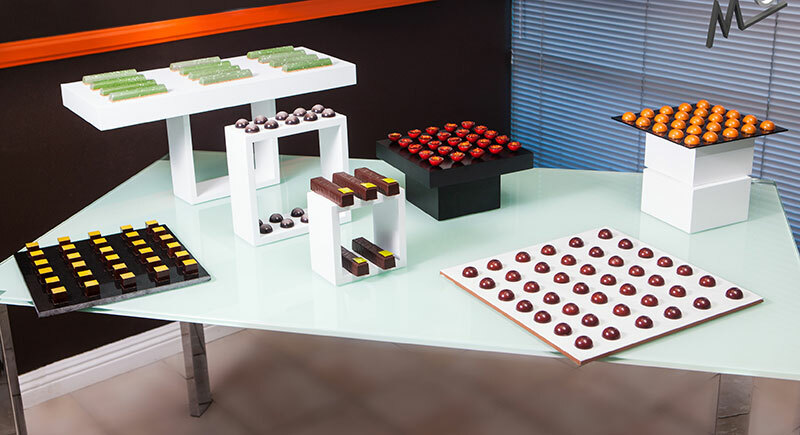 The initial idea was that the training classroom would complement the other business areas as a “marketing strategy”, in the words of Melissa Coppel, whose presence adds greater prestige to the French chocolaterie, Jean-Marie Auboine. 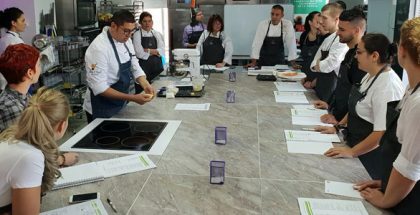 However, the step to bring important professionals from all over the world combined with an innovative curriculum of courses provided by Jean-Marie Auboine and Melissa Coppel, has borne fruit and achieved great success. And so today it provides great support to the business as a whole and has been a “significantly important investment for us”, says Coppel. 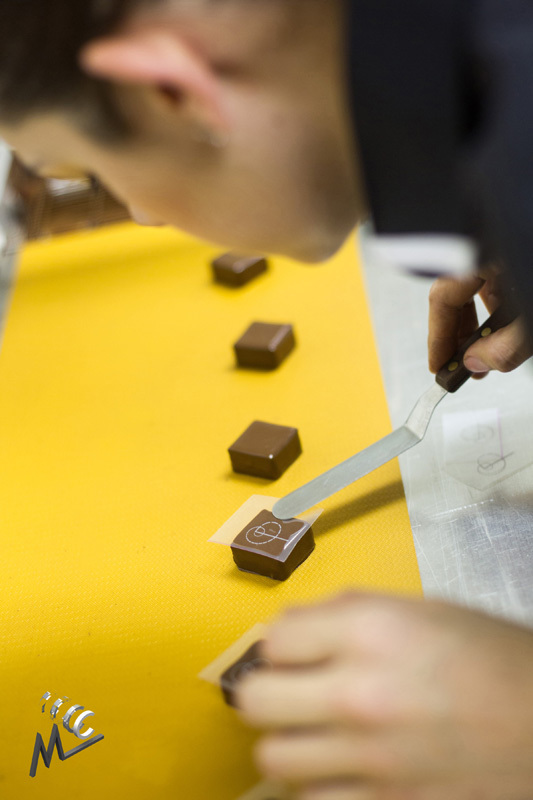 Melissa Coppel has never lost sight of the value of training. 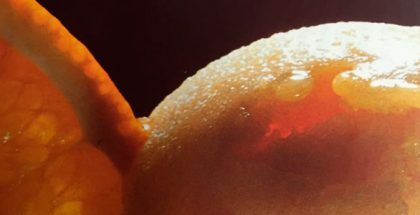 She has worked with the best professionals (Christophe Michalak, Ramon Morató, Pierre Hermé, Paco Torreblanca, Olivier Bajard, Frank Kestner, Jordi Butrón, Oriol Balaguer, Stephane Glacier, Emmanuel Ryon…) and understands that only with a solid base of learning is it possible to develop your recipes, your style, your own artistry. 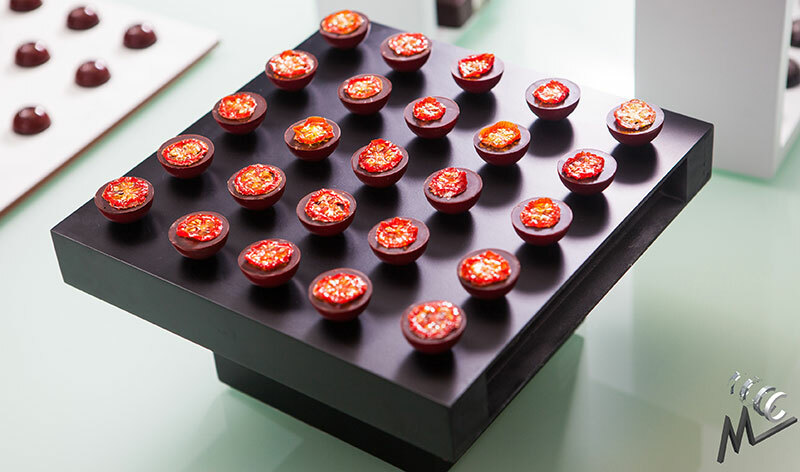 Just as in the day to day work in the store, the courses impart the same freshness and boldness in the way they combine flavours in their desserts. 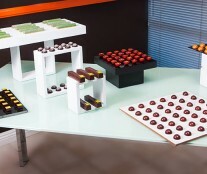 In one of their recent courses entitled “Beautiful Bonbons and Dessert Bars with a Long Shelf Life”, they clearly demonstrate their new vision for the chocolaterie. 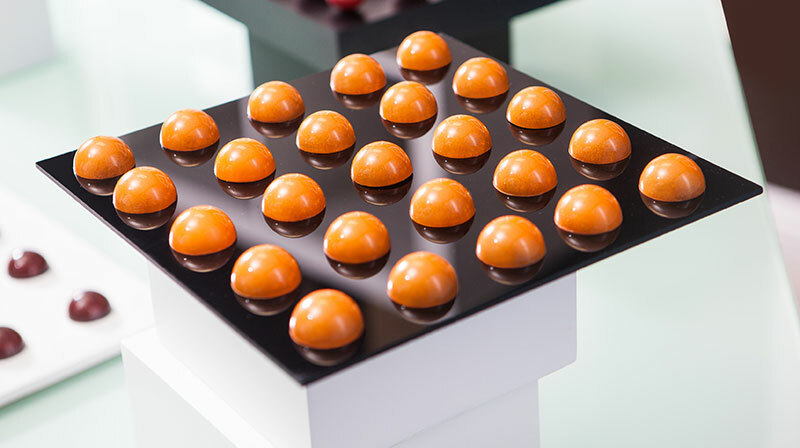 “I believe we should emphasise the fun side of bonbons and chocolate bars, which is why we invite our course participants to combine unique flavours and textures in a modern yet simple style at the same time” she says. 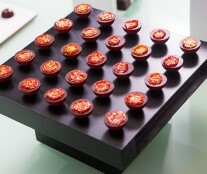 Only through exploring the presentation of each element can you develop your own style, she adds. 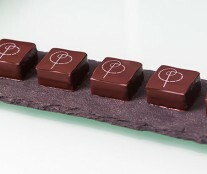 All of the above is reflected in her creations, such as the lemon tart (with an acidic cream, lime ganache, and praline biscuit), a chocolate bar called Chocolatisimo (caramel chocolate, coffee stracciatella, milk chocolate ganache, and sticky brownie), a bonbon called “My Roots” (guayaba compot, yoghurt ganache, caramalised white chocolate camisa) and other bonbons with a ganache based in water, oil, pecan nut praline and marcona almonds with waffles cookies and bacon.